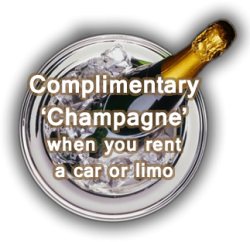 Rent a Limo hire operates a full service chauffeur-driven limo hire, party bus hire and luxury car hire service over a wide area in South East England but mainly in the London, Herts and Essex areas. Based just north of the M25 motorway in Hertfordshire, we are within easy reach of London. Rent a Limo is therefore perfectly located to concentrate its limo hire service on London, Hertfordshire and Essex. With limo hire service areas throughout South-East England and the Home counties, call Rent a Limo for all your limo hire requirements including Hummer limo hire in London, Herts and Essex, party bus hire throughout our capital City of London, wedding car hire throughout the Home Counties and especial Herts, Essex and London, or special occasion limo hire anywhere in and around London, Herts and Essex. Not decided on a vehicle yet? Please look at our range of STRETCH LIMOS, fully-loaded PARTY BUSES and LUXURY CARS to rent. Rent a Limo hire prides itself on offering the best special events limo hire services in one of the finest limo hire fleets in the country. From our super stretched Hummer limousine to our stunning ‘Baby Bentley’ Chrysler limousine, we have the ideal vehicle for you, for all types of special occasion or event requiring luxury limo hire services; including nights out, concerts, birthdays, hen & stag parties, school proms, anniversaries, shopping trips and sightseeing tours, sporting events, airport transfers or even just a private cruise around London town, Hertfordshire or Essex. Please do not hesitate to give us a call if you have any questions about Rent a Limo hire London, Hertfordshire and Essex services. Give us a call on 01992 663338 or fill in our ONLINE QUOTE FORM and we’ll get back to you.